October 8 - 11, 2015! 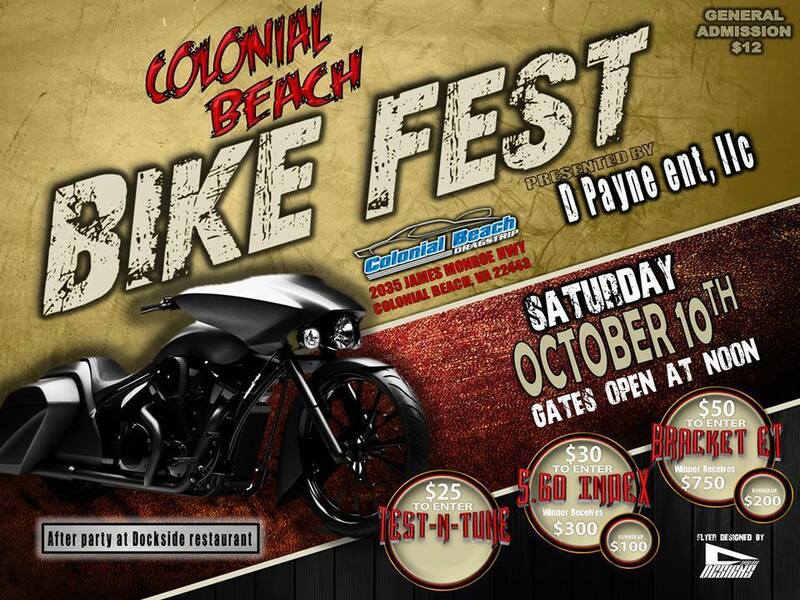 Bikefest is back for the second year in a row. Taking place over the long Columbus Day weekend, this promises to be bigger and better than the first, and hopefully with more favorable weather! 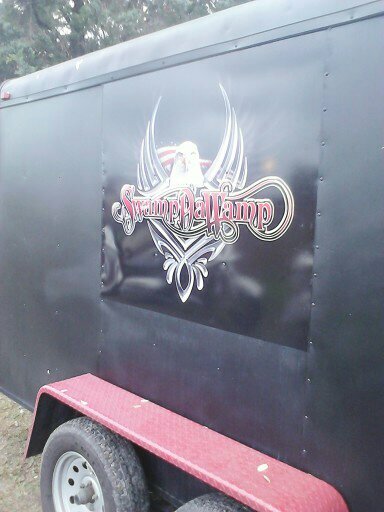 All American Harley-Davidson are one of the main sponsors. They along with 97.7 The Rocket radio station had discussed the idea in 2013, and I'm so glad they did! I can't wait for this event to return! 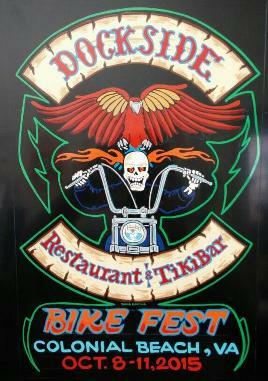 Our area has been and continues to be a favorite destination for bikers, with the beaches, historical sites, great waterfront dining spots, tiki bars with live music, boating and fishing activities and many lodging options. Visitors can enjoy a fun stay in our historic riverside resort town. 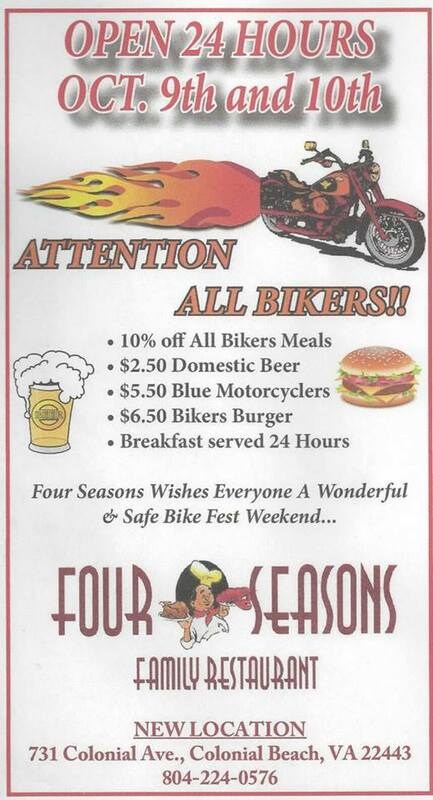 8pm DJ Bennie at the Eagles, 517 Colonial Ave.
All Day: Four Seasons Restaurant & Bar will be open 24/7. 731 Colonial Ave.
3-7pm Karaoke with DJ R.C. 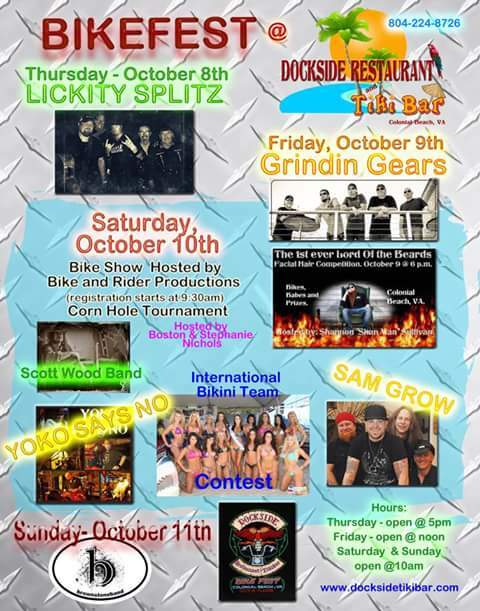 Tabler at the Eagles, 517 Colonial Ave.
8pm Out of Order band at the Eagles, 517 Colonial Ave.
9:30am - Registration begins for Bike and Rider Productions Motorcycle & Golf Cart Show, Hosted by Boston & Stephanie Nichols at Dockside. 10:00am - 1:00pm State Route 3 will be closed between State Route 205 and State Route 206 for Fall Festival in King George. Take alternate roads like Route 218, Route 206, or Route 17. 11 - 2 Prince George County Police Department Motorcycle Unit police rodeo at All-American Harley-Davidson in the Colonial Plaza shopping center. 11 - 3 Mike McManus at the Eagles, 517 Colonial Ave.
Bike and Rider Productions Motorcycle & Golf Cart Show, Hosted by Boston & Stephanie Nichols at Dockside. 12 Racing at the Dragstrip. $12 General Admission. 2035 James Monroe Hwy. ALL MAKES & MODELS WELCOME !!!!! 1 - 4pm Karaoke with DJ R.C. Tabler at the Eagles, 517 Colonial Ave.
4pm Bike Art Raffle at Jarrett Thor Gallery. The painting size is 6 feet wide and 4 feet tall, and the tickets will be sold at $10 each or two for $15. The artist is Vicki Marckel. Winner does not need to be present and shipping, if needed, is free. 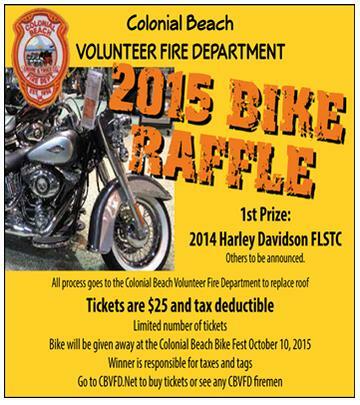 Tickets can be purchased at Jarrett Thor (100 Taylor Street) or the Colonial Beach Harley Davidson store (Colonial Plaza). Proceeds will be shared by the artist and the Chamber of Commerce. Full Throttle Saloon's "Fajita Mike"